in a cabbage patch in Belgium with three feathered props. Kneeling L to R: Langdon, Zell, Brown, Reo. 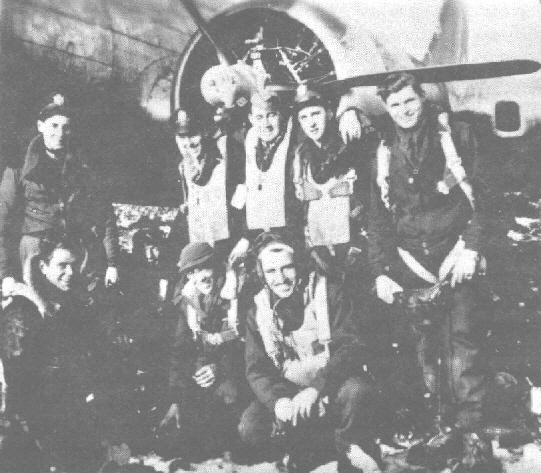 ditched in the English Channel on April 5, 1945 with the Mehling crew.